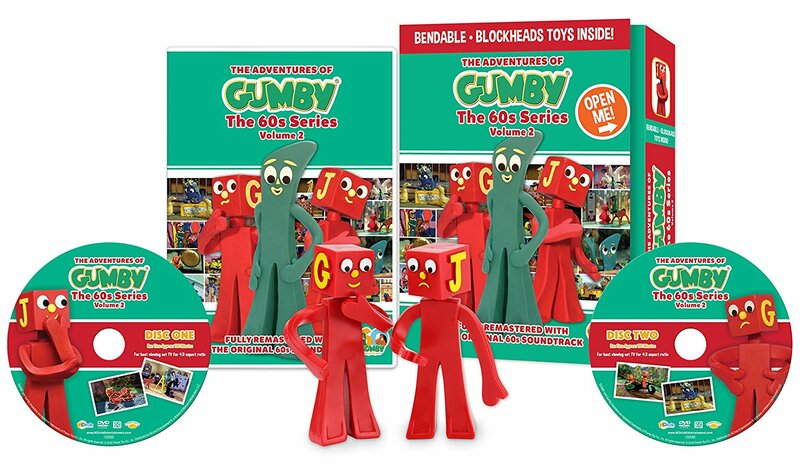 Living a Fit and Full Life: NCircle Entertainment Presents Gumby: 60's Series V2 plus Bendable & Giveaway! 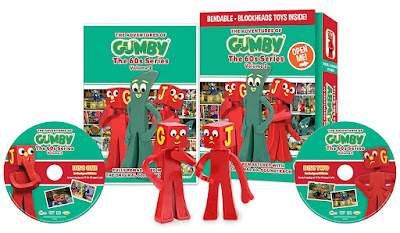 NCircle Entertainment Presents Gumby: 60's Series V2 plus Bendable & Giveaway! Here come Gumby and Pokey in this wild, wacky and inventive collection of late 60's episodes! Have fun with 40 clay-animated shows, fully re-mastered from their original camera rolls and soundtracks. All of the episodes featuring Nopey, the dog who only says "no", are in this set. Also appearing are Prickle, Goo, the Blockheads, Professor Kapp, Dr. Zveegee, the Moon Boggles, and other characters who Gumby and Pokey have creative, fun adventures with. These cleverly written stories engage both children and adults with enduring themes that captivate today's audiences as they did when first released. Special features in this terrific set include the art film "The Clay Peacock", a special behind the scenes photo gallery, the re-mastered "Have a Heart" animated theme song as well as a never before seen Gumby song, and super fun clay animated bumpers. You'll also get to see some of the animators who worked on these episodes talk about their experiences at Clokey Productions. These same animators went on to animate more than sixty iconic films from Star Wars and beyond. I absolutely loved Gumby growing up so when I received Gumby: 60's Series V2 plus Bendable I was super excited! For one my kids have never watched Gumby so I really wanted to watch it with them. Two, because it came with a bendable! When I was a kid my best friend and I both had Gumby Bendables and she chewed on mine instead of her own and to this day it's a bit of a joke between us. When I had my oldest daughter one of the gifts she gave her was a Gumby Bendable for her to chew on. Which was definitely a bit ironic. Anyway, I loved watching Gumby: 60's Series V2 and so did my kids. It was somewhat of a walk down memory lane for me and brought back memories of waking up early Saturday morning with my siblings to watch cartoons. I'm super excited to bring that tradition back and have been turning it on for my kids and I to watch every Saturday morning since I got it! Gumby: 60's Series V2 plus Bendable is extremely enjoyable to watch for both kids and adults and I highly suggest you purchase yours today!